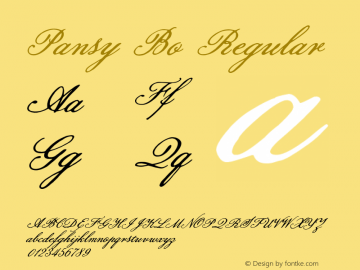 Pansy Bo font family series mainly provide Regular and other font styles. 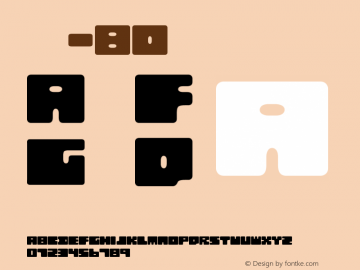 PansyBo-Regular font family series mainly provide Regular and other font styles. 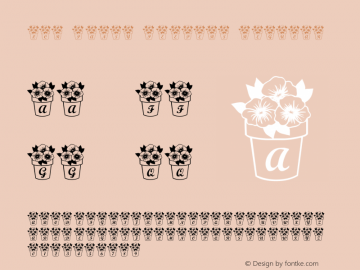 Pansy font family series mainly provide Regular and other font styles. 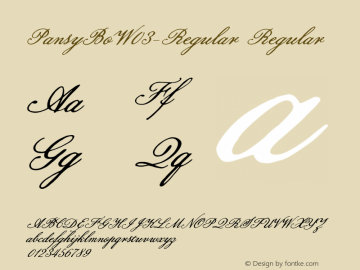 Hu_Pansy font family series mainly provide Regular and other font styles. 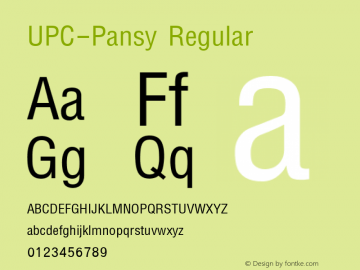 UPC-Pansy font family series mainly provide Italic,Regular and other font styles. LCR Pansy Peepers font family series mainly provide Regular and other font styles. 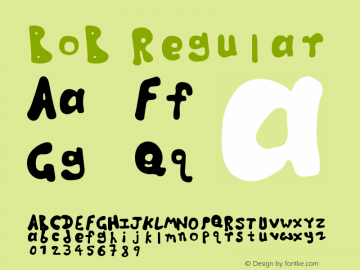 Q-bo font family series mainly provide Regular and other font styles. BoB font family series mainly provide Regular and other font styles. 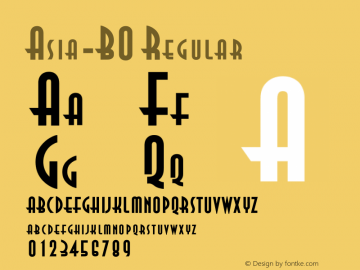 Asia-BO font family series mainly provide Regular and other font styles.